This idea is potentially usable with any class that needs to have notes to refer back to in future and which they need to learn and to use as a revision resource. 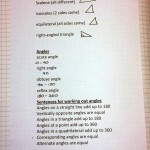 It is particularly useful for pupils who do not find it easy to make notes for themselves. I often want pupils to write down the key points from a lesson, or to make notes but there are drawbacks to the traditional ways of doing this. If I put keywords on the board that the class then discusses before writing their own notes, the pupils who find this difficult to do end up with poor notes. If I write notes for the pupils to copy down those with weak writing/copying skills end up with notes that they don’t find easy to use. If I give out printed notes then the pupils have not had any involvement in their creation, so these notes do not always use the language that the pupils would prefer. In an attempt to deal with these difficulties, I tried a new way of ensuring the pupils in a low maths set had good notes. I projected my computer and typed notes into a Word document while the pupils watched. I asked them what they needed to know from the most recent topic and as they replied I typed what they said. We then edited the text together. I asked whether they wanted to include any extra information and added what they told me. Then they wanted to change the formatting to give a list rather than a sentence, so I made that change too. When the pupils were happy I saved the file and we finished the lesson (it worked well as a plenary task). That evening I reduced the font size, put two copies side by side on a landscape sheet of A4 and printed them out for the class. 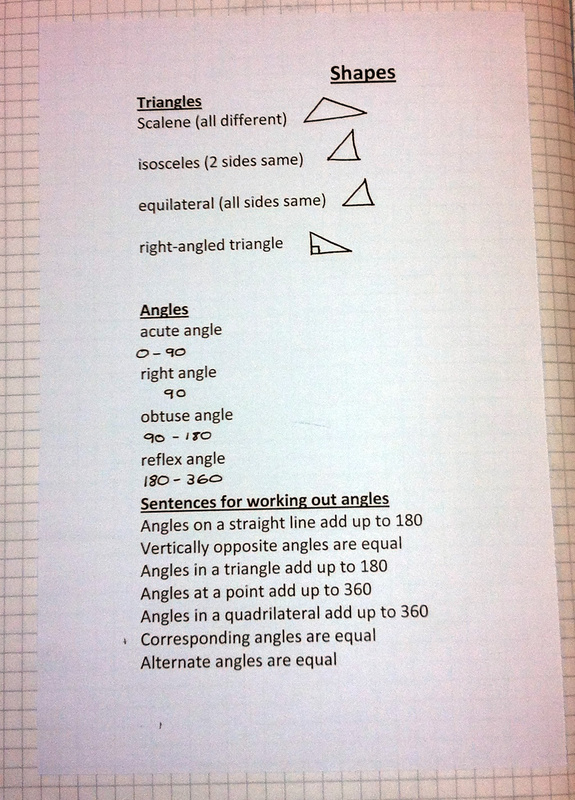 At the start of the next lesson I issued each pupil with an A5 sheet of notes to stick into their books. The pupils enjoyed telling me what to do! There were a few occasions where they argued about exactly how to express a particular idea, and at one stage I made a suggestion about some diagrams. These would have been very fiddly for me to create in Word, so it made more sense to leave a gap and for the pupils to draw them in for themselves. The pupils were very pleased with the finished product. They felt they had ownership of the notes because they had dictated them, they were expressed in language they understood, but they also looked pristine and legible. Since then we have done this several times. They are now used to referring back to their previous notes. An unexpected bonus was that the pupils asked about particular Word shortcuts that I use, for example underlining text using ctrl + u, or increasing the font size using ctrl + ]. I want to start to be explicit about how we turn our ideas into useful notes so the pupils can eventually do this for themselves. It will be interesting to see whether it will be possible for a pupil to do the typing in my place at some point. This was great fun! I appointed a responsible and confident to be under the direction of the other students and observed and they produced lots of good notes as a result. Thanks!